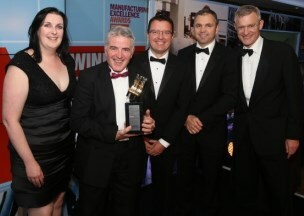 Building Adhesives entered the MX Awards as a means of assessing its performance in comparison with the best manufacturing organisations. The aim was to identify best practice and, where appropriate, change its operating methods to compete with the very best UK companies. BAL will now proceed to the IMechE National Awards, where entries are considered by category.